What’s more, you could also apply to one of our seven intensive residential programmes. Courses last between one and two weeks and are designed to develop more specialist filmmaking skills. You will work closely with leading industry professionals who will give you a unique insight into the filmmaking business and guide you along the way. Once you have completed the course, you will become part of the growing BFI Film Academy alumni network with access to events such as BAFTA career talks. You will also have access to the White Lantern Film team who are here to give you advice and support as you progress your film career. You will also join the Bournemouth alumni Facebook group which is updated weekly with opportunities like jobs, short film grant information and other local and national opportunities. The Bournemouth academy runs between 24th November 2018 and 10th February 2019. The Academy will run between 24th November 2018 and 10th February 2019 on Saturdays and Sundays from 11am – 4pm (breaking for Christmas) with optional pre-production and editing support during weekdays as scheduled. The course includes a short film production weekend which will be on 19th and 20th January 2019, typically the days are longer and run between 8am and 8pm. You can apply to the next Bournemouth BFI Film Academy now by emailing us at apply@getinsidemovies.co.uk with your name, address, telephone number and date of birth. Alternatively, please complete our downloadable PDF form and email this to us. PLACES STILL AVAILABLE! CONTACT US NOW! For more information on the course, schedule click here. Two supermarkets, an ancient grudge, a new mutiny. 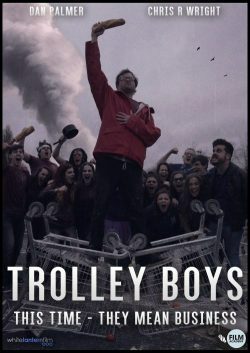 A pair of loyal trolley boys take supermarket wars to a new level in this short epic from the BFI Film Academy 2015/16. We have released the award-winning environmental documentary DRYING FOR FREEDOM, the psychological thriller EMULSION and recently the award-winning Sweeney Todd inspired thriller K-SHOP. We are currently in production with our next feature will be A PATRIOT starring Eva Green, Tim Robbins, Kathy Bates and Ed Skrein. We are part of the BFI FILM ACADEMY and support the local film industry by hosting B-REEL, a quarterly film networking event, and sponsor the SHORT SOUNDS FILM FESTIVAL, a festival celebrating sound and music at the cinema. For more info, visit www.whitelantern.film. We share a wealth of expertise with our sister company TLS, one of the UK’s leading moving image agencies. 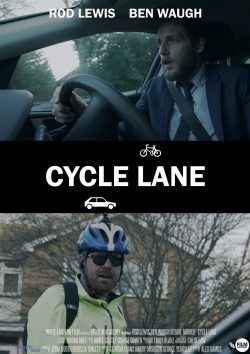 TLS creates commercials, animations and content for brands including BT, Sainsbury’s, Garmin, Mizuno, Organix, LV and Sony. With a range of production and post-production facilities at our disposal, the alignment between White Lantern Film and TLS creates a large, dynamic, creative force in the world of film, television and online content. 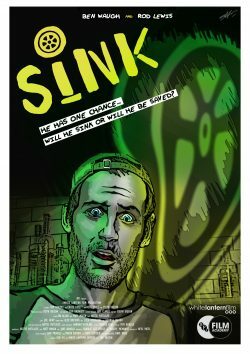 For more info on our movies and company, sign up to our newsletter here or follow us on Facebook or Twitter. To contact the Bournemouth BFI Film Academy, please use the form below or contact White Lantern Film directly.